More often than not, employees are treated as mere workers, rarely appreciated for their gallant efforts. That is why, there is the tendency to feel unappreciated or worst, unnoticed, in turn, feeling heavily discouraged from all that the work entails. You may also see work certificate templates. Although it is not mandatory, it is simply ideal to have a regulated program where the efforts of these employees are not being pushed to oblivion. Employees need to be appreciated weekly, monthly, quarterly, or yearly for their contributions to the business, no matter how big or small. 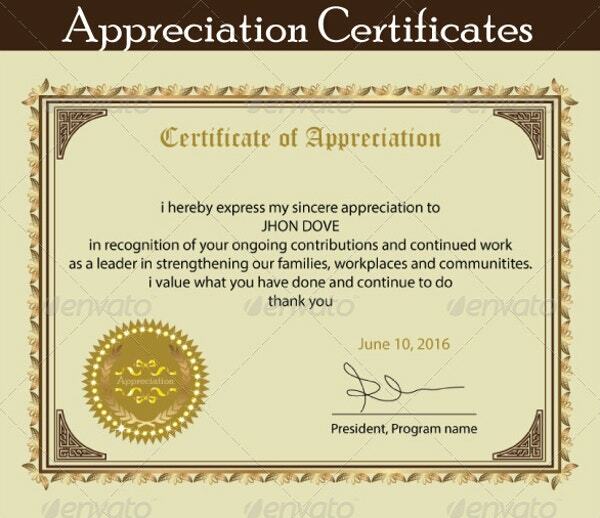 With that said, here is a list of employee certificate of appreciation one can use for their business. 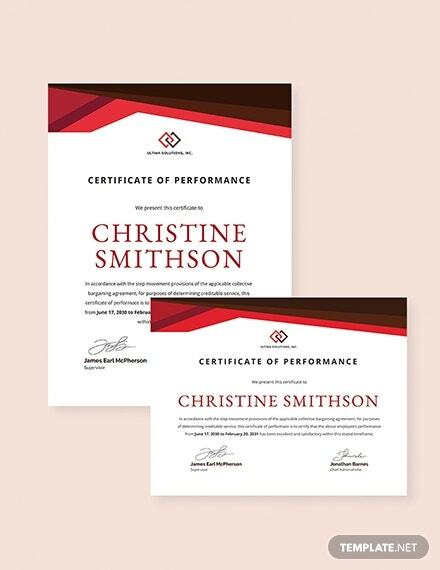 Why is it Important to Hand out Appreciation Certificates to Your Employees? 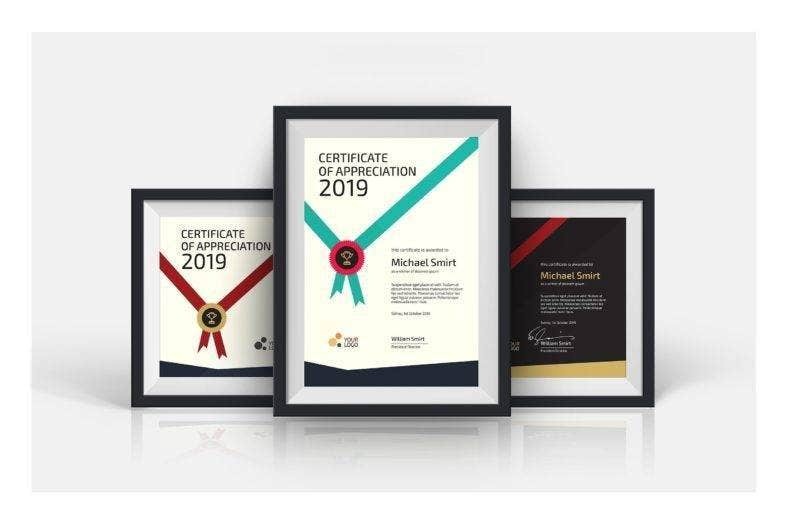 Whether it is an employee of the month certificate or an employee of the year certificate, any certificate that is meant to appreciate the gallant efforts of employees are of great importance. And, because certificates, in general, hold some kind of importance to whoever is receiving it, any accolades that come in the form of the medium bears the same amount of value. A certificate of appreciation is commonly given to those who have greatly excelled in their field of work. And, as much as it is a gesture of appreciation and recognition for the employee’s hard work, it also symbolizes and represents the days an employee have to endure and work hard in order to achieve the company’s goals. A certificate, in general, magnifies the different achievements a person has made in his or her career. That is why when people are being awarded such, they have the tendency to keep it in special places to either keep it for keepsakes or for other people to see. Also, certificates being a tangible medium of recognition and appreciation, can simply give those receiving a sense of pride and fulfillment. 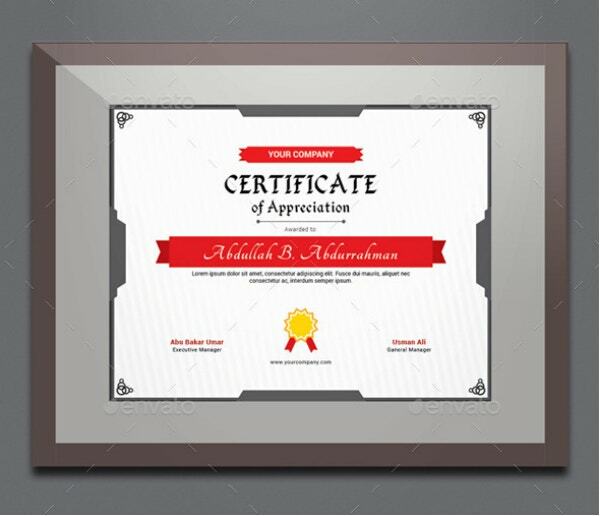 But, more than that, there are also other reasons to why an appreciation certificate is of great importance. 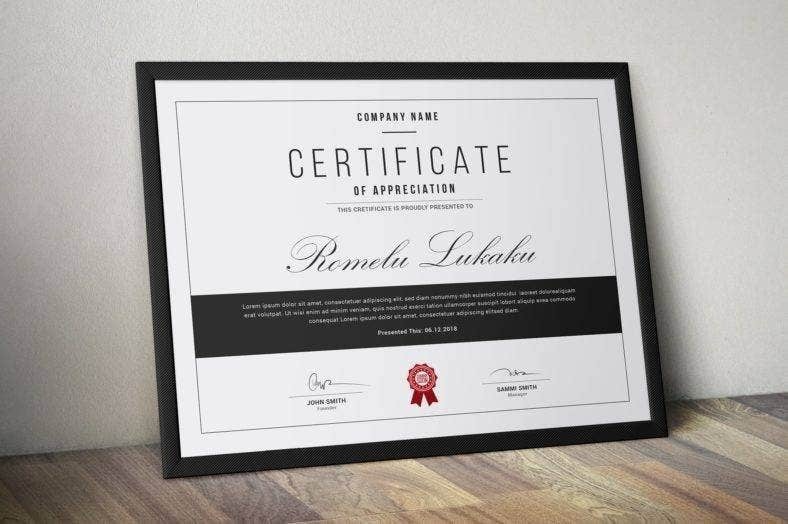 Any form of appreciation certificate is meant to honor and recognize the person and the work done in a business. Meaning, they magnify the person and their work altogether and make them feel that their efforts are being valued and not being taken for granted, or worst ignored. When done, employees most commonly feel that they have a place in the business and have contributed something of varying magnitudes, ultimately making them feel valued. 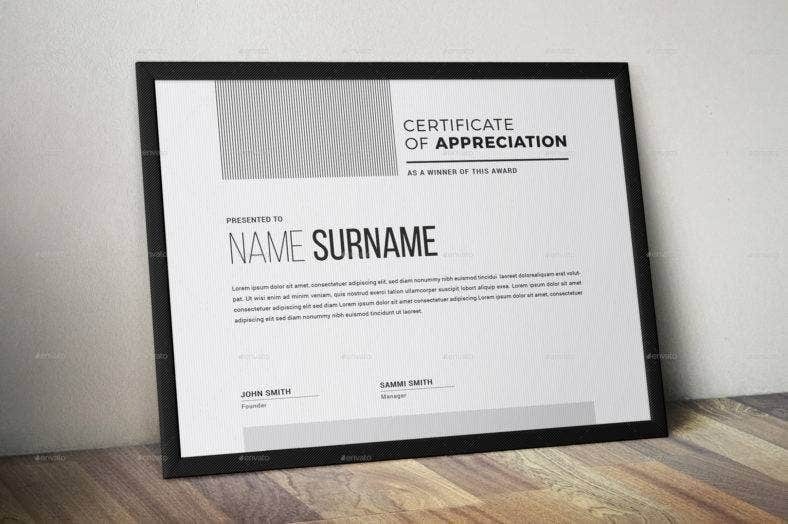 You may also see the free employee certificate of appreciation template. Humans as we are, we have the tendencies to crave for validation and appreciation from other people. It is innate in all of use to have the need to feel validated and appreciated especially for the things that we do. When we are, we often times feel invigorated and encouraged to perform at the same level or even better. 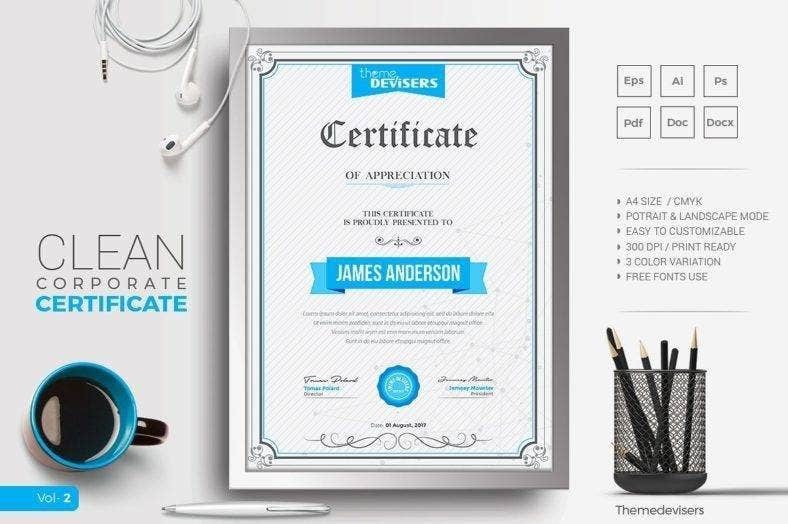 Certificates of appreciation have the kind of effect that encourages its employees to perform at their best all the time as they are being assured that their efforts are being recognized and appreciated. You may also see employee excellence certificate templates. When employees are being recognized and appreciated for their work, it simply boosts their morale and confidence, in turn making them eager to work more and perform better. And, when employees are confident with their performance, it is beneficial to both the individual and the company or simple business as it makes them eager to work, which only means they get to achieve the business’ goals. Also, it makes them an ideal candidate for different awards that recognize excellence and hard work. Giving out tangible recognition and appreciation to employees who have performed excellently, solely means you recognize their efforts and contributions. When you recognize their work, you are able to assure them that they are not being taken for granted, which ultimately paves the way for them to be happy and satisfied with their work. You may also see employee recognition benefits. Happy employees are integral to any business or company as they reflect and represent the overall end-products of your business. Meaning, when you have happy employees, they are able to perform to the best that they can according to the principles of the business. Also, when employees are happy and satisfied, it urges them to perform better for themselves and the business altogether. You may also see certificate letter templates. 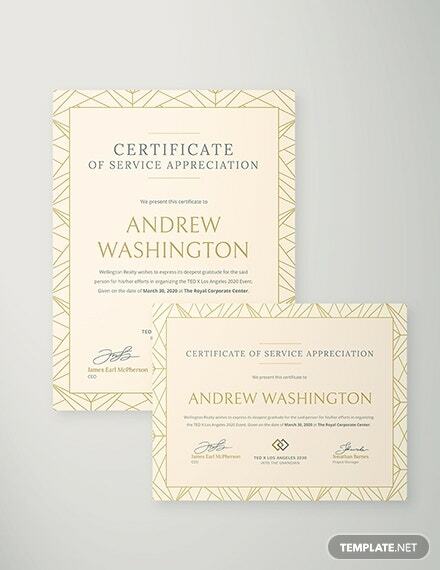 What Pieces of Information Should be in Your Certificates of Appreciation? With the name of the business or company on the certificate, it simply gives it more value and legitimacy. Which simply means it is acknowledged by the entirety. Doing so, you are not only acknowledging the company and giving it respect, but you are also promoting it to the people who get to see the certificate. Also, the name of the business or company can help the employee in the future and serve as a reference for their potential employers should they wish to move on to another job. You may also see salary certificate templates. This is an important piece of information in the certificate, as it identifies and distinguishes the individual receiving the award. 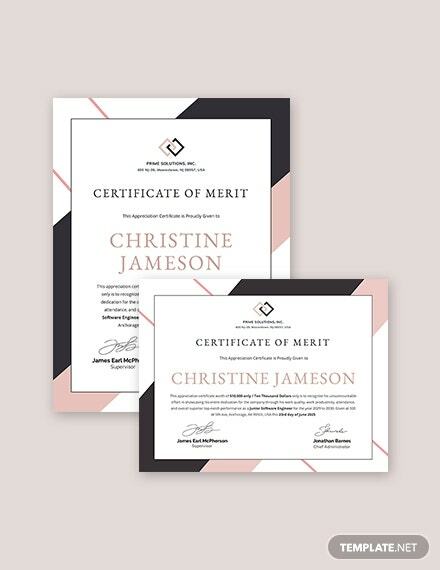 Knowing that the very intent and objective of a certificate is to recognize and appreciate, having the name of the recipient simply makes it more effective. It is also important to consider the name as the biggest text on the certificate to make it readable and recognizable even from a distance. You may also see salary certificate formats. 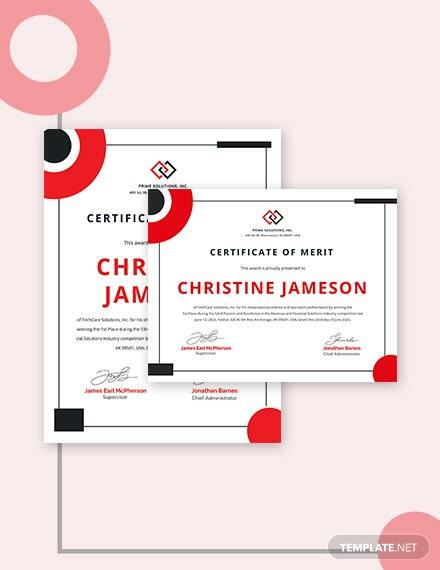 Considering that there are hundreds of different certificates out there, it is ideal to identify what it is you are giving out to your employees. It could be an employee of the month or year certificate, an excellence award, or even a certificate of appreciation in general. It is best if you also stated this at the very top of the certificate or at the top of the recipient’s name. 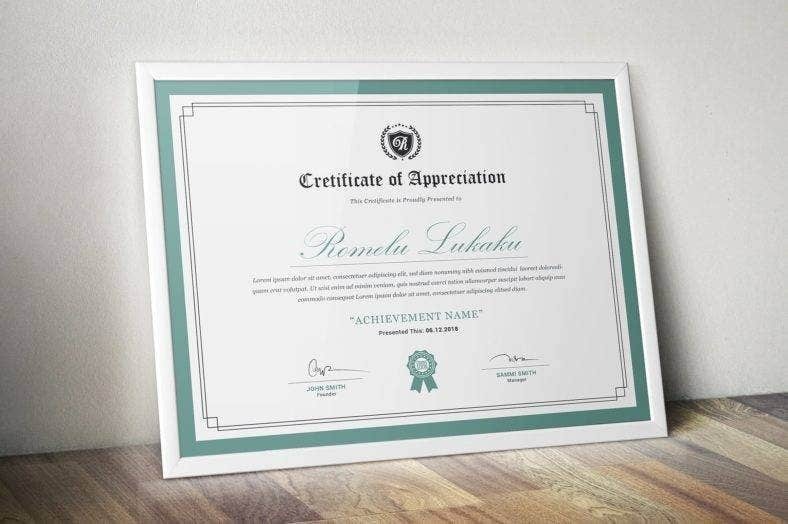 You may also see a certificate of appreciation templates. These names and signatures could come from the CEO, the manager, or even the HR of the business. Names and signatures of those people in a higher position simply imply that the award or certificate is valid and legitimate. 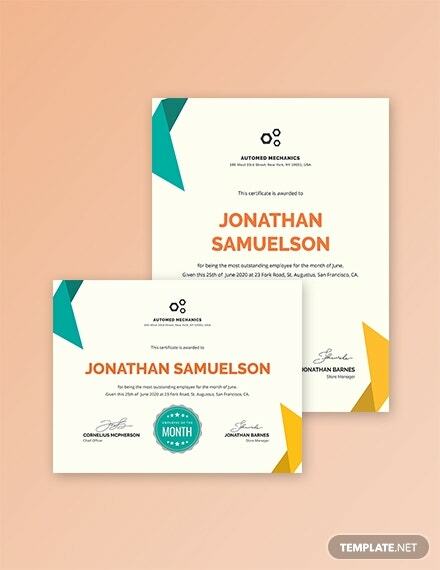 Also, by doing so will give the certificate more credibility as the entirety of the certificate is being acknowledged by those people working in a higher position. 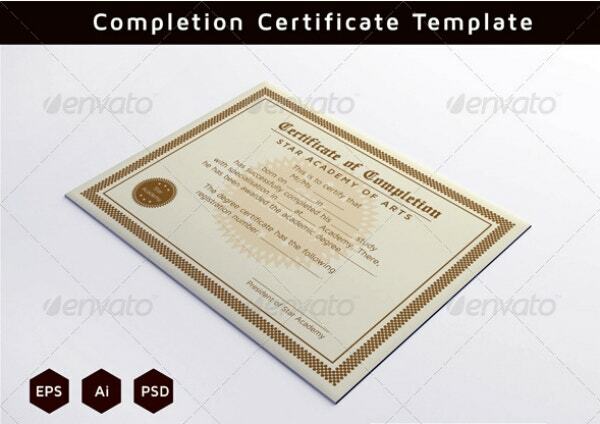 You may also see printable certificate templates. Although this is optional, it is essentially ideal to have a short text on your certificate to put context to it. This text could answer the question “why?” or “what did they do to deserve the award?”. You can maybe put in “for their overall excellence in performing their duties” or “the gallant efforts for achieving this month’s quota is highly appreciated” or anything you wish to say, simply depending on your preference. You may also see PSD certificate templates. Why Should You Opt for Premade Certificates? 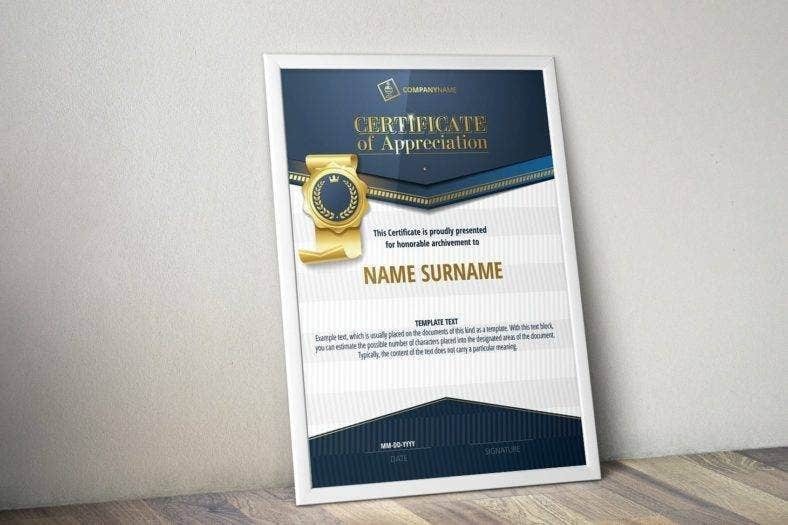 When you wish to acquire a certificate of appreciation to use for your business or company, going for the premade option is the most ideal as it is very cost-efficient. Meaning, not a lot of money has to be put out in order for it to materialize. Compared to having it custom made with a professional graphics artist, where it can inevitably cost a lot because of the different factors that are being taken into account. 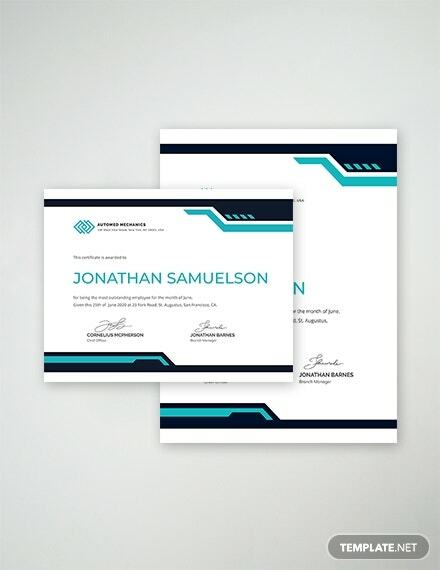 Going for premade certificates only ask for the design to be paid, while opting for the custom-made option means paying for the professional graphics artist’s resources, time, and labor. You may also see Microsoft word certificate templates. 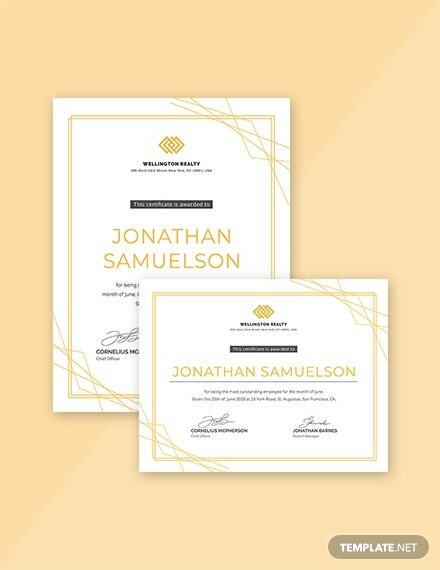 All these premade certificates also exude sophistication and professionalism amidst their simplicity. Both of which can effectively reflect and represent your business or company to those who get to see it. Sophistication and professionalism are both important characteristics of any medium you wish to hand out, as it is very important to elicit the same kind of aura that your business exudes to gain the trust of people. 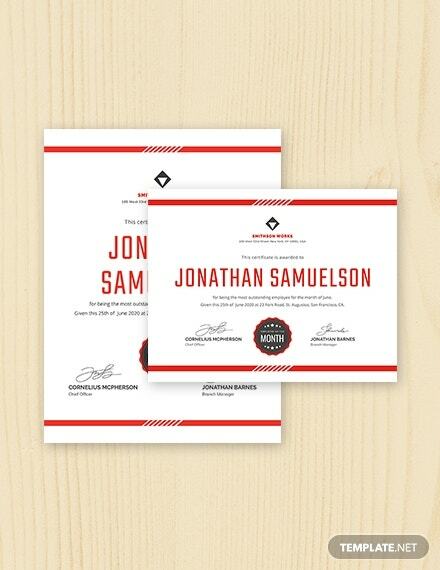 Also, contrary to the preconceived notion most people have towards premade certificates— that they only come in simple and alike designs —it actually comes in different design variations. There are also minimal designs, elaborate designs, modern designs, and fun designs. 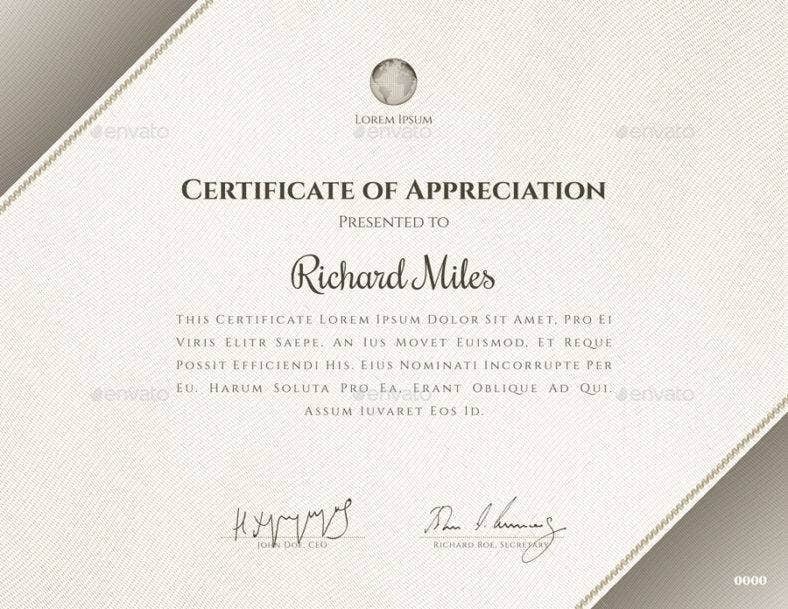 Lastly, premade certificates are all very easy to edit and customize. Considering that it comes in a file that is easy to do so, editing your certificate will not be such a daunting task. It is also fully editable and customizable, from texts, colors fonts, to sizes, and even few of the other design elements. Sometimes, it also comes with smart object layers that enable you to move around elements in the design creating a more personalized and unique certificate. If you find this article helpful in any way, do not forget to bookmark this page for future references. 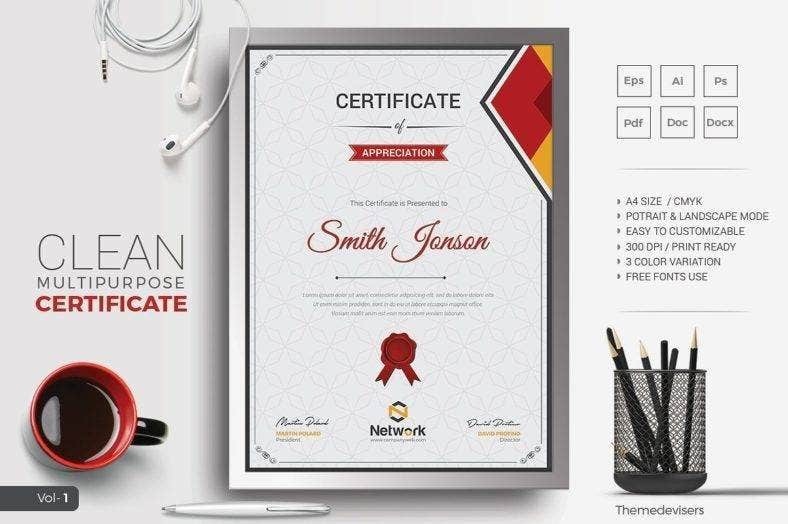 And, kindly share this with other individuals working in a company or business looking for certificates of appreciation to use. 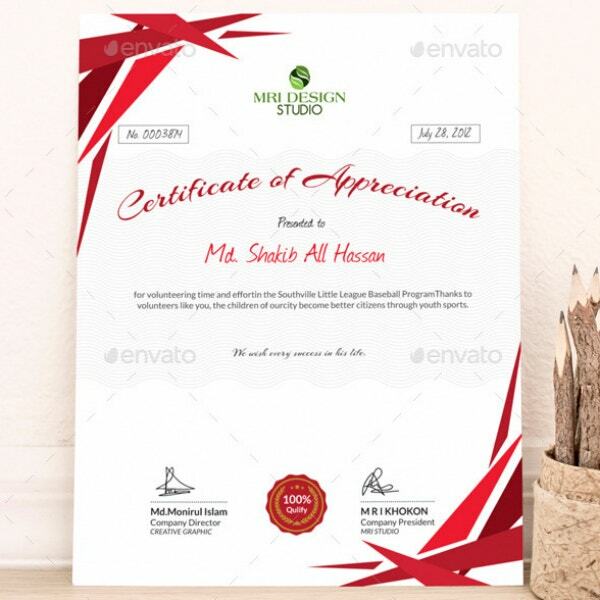 You may also see graduation appreciation certificate templates.